The leaves are starting to change color and the temperature of the day is starting cool. The little white flecks will appear shortly, and with that new driving challenges will be at hand. Let's run through a little check list to make sure you have a fighting chance to come into spring with not a scratch on you or your car. Tires are your first line of defense when facing the icy conditions of winter. Make sure that you have the tread to make it through the season. 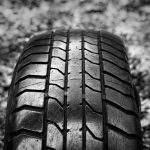 There are several favorite ways to check the tread depth of your tires. Take a penny and insert into your tire's tread groove with Lincoln's head down but facing you. If Lincoln's face shows in its entirety, then your tread depth is less than 1/16 of an inch, and replacement tires are in your future. With your tires are in good shape and before you hit the open road make sure that your view is unobstructed. Let's state the obvious here--remove the snow and ice from your windows, front, back and sides. If snow covers your parked car, take the time to thoroughly brush it off the car altogether which includes the top. Driving through a "porthole" on your windshield is very dangerous and really should not be done. As you start out on your journey, remember to press the accelerator pedal slowly to reduce the chance of your tires spinning. If you find yourself on slippery snow or ice, consider starting in second gear if you have a manual transmission or with a selectable automatic, so the vehicle is less likely to spin the tires. Give yourself extra time for your trip. By keeping your speed down will reduce the damage should an accident occur, and you will have more time to react to slipping or sliding. Reduce your speed and drive evenly. In slippery conditions, tires lose their grip more quickly, affecting all aspects of your driving including braking, turning and accelerating. Remember to keep enough space between you and the vehicle in front. You will need more distance to stop safely. Apply a firm, but gentle pressure to the brakes and start to brake sooner than you usually would in dryer conditions to give yourself extra time to come to a safe stop. If your vehicle has an anti-lock brake system (ABS), then you want to keep firm pressure on the brake pedal even though you may feel shuddering and the pedal giving way under your foot...this is the system doing its job correctly. Don't remove your foot...keep pressure applied until you stop completely. If you happen to have a vehicle without the anti-lock brakes, you will want to "pump" the brake pedal very gently to keep from skidding and sliding. This action prevents the tires from locking up--you are the ABS! In these wintery conditions, asking a vehicle to do more than one thing at a time may cause you to lose control of your vehicle. Turning on an icy roadway can be dangerous if you perform a sudden action such as applying your brakes or turning too quickly. Touch the brakes firmly when the vehicle is going straight is your preferred choice. Any sudden maneuvers can cause you to lose control of your vehicle. All-wheel and four-wheel-drive vehicles are great, but they too are of little use on an icy road. They provide no benefit when braking or cornering. They are helpful to get you moving from a stopped position because of the extra traction. And finally, watch out for the other guy! Others may not be driving as guardedly as you, leave extra space, avoid abstractions, and be predictable, use your signals to let others know your intentions. Having a great winter driving experience begins with you! 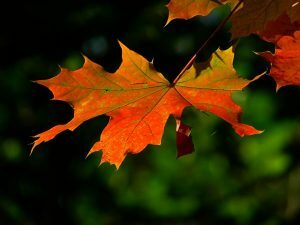 With autumn fast approaching, it's time to get your vehicle checked out before West Michigan becomes a winter wonderland once again. You want to be properly prepared because winter can be detrimental to a car and yourself. 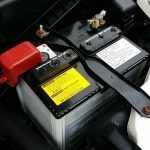 With winter just around the corner, you want to have your battery checked. That last thing you is a dead or weak battery on a cold winter's night. As the temperature drops so do the capacity of your battery. Even with your battery checked, it's a wise decision to have a set of jumper cables in your car. When did you last check your tires? Improper tire pressure will not give you the traction that you're hoping for during the snow season. When a tire is underinflated, the tire will experience abnormal wear and will not perform as designed by the manufacturer. How's the tread pattern on your tires? Are they an all-season tire? Is the tread still deep enough to grab the road and give you the traction that you are expecting? Just a few things to keep in mind as you check your tires. 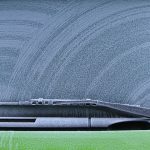 When did you last change your windshield wipers? The last thing you want is a streaky windshield while you are trying to drive in the snow. A clear view our the windshield is important during inclement weather and the first line of dense is your wipers. Do you have any cracks or chips in your windshield? They may worsen during the extreme changes in the weather. A crack may have water seep in and then freeze and cause a bigger fracture. Are all lights working properly? 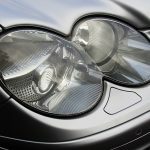 Now that the windshield is clear, you need to make sure that your headlights and other lights are operating properly. Be certain that the high-beams and turn signals function as they should. Are the light covers "fogged" or no longer clear that may impede the light from reaching down the road? When did you last washed and waxed your vehicle? Nothing is worse on a vehicle than the harsh salt and chemicals that get applied to the roadways during the winter months. Make sure your investment is protected with a good coat of wax after a proper and thorough wash. Car Zone Sales and Service is here to make sure that you are ready for Michigan's winter months coming up fast. Give us a call and set up an appointment to have your ride checked over entirely. The Car Zone: Paw Paw MI & Otsego MI has been visited 8,642,391 total times.